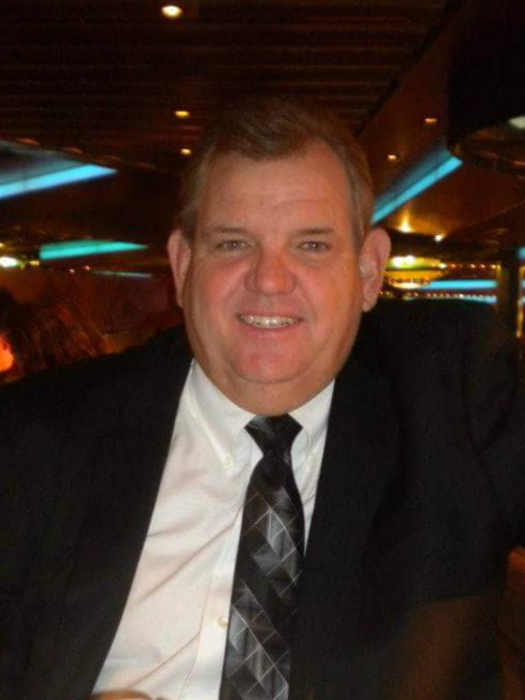 Wayne Alan McCabe, age 56, of Fort Walton Beach, Florida passed away on Wednesday, August 1, 2018 in his Fort Walton Beach home following a stroke in June of 2017. He was surrounded by many loving family members and friends and will be missed immensely. Wayne was born on October 6, 1961 at Selfridge Air Force Base in Mt Clemens, Michigan, the son of Russell and Shirley McCabe. He was a 1980 graduate of Fort Walton Beach High School and 1984 graduate of Florida State University where he obtained a Bachelor of Science in Business. He was married on May 27, 1994 to Serena Elizabeth Colley in Clinton Twp., MI. Through the years, he worked in the restaurant industry with his most notable accomplishment being the rejuvenation of The Original Taco Town of Fort Walton Beach. Wayne had many hobbies including golfing, hunting, fishing, watching Nascar and cheering on the Florida State University football team with his 5 grandsons and 2 great-nephews. He was a Silver Chief Booster member and never missed a game. He loved to golf and was a scratch golfer and member at Fort Walton Beach Golf Club. He also belonged to a hunting club in Baldwin, AL where he has been very active over the last 6 years. He is survived by wife, Serena (Colley) McCabe; stepdaughter, Stephanie (Curtis) Marracco of Fort Walton Beach, FL; stepson, Randy (Christina) Boggess of Crestview, FL; grandchildren, Dylan Marracco, Carter Marracco, Jackson Marracco, Blake Marracco and Connor Boggess; father, Russell McCabe of Mobile, AL; mother-in-law, Brenda Colley of Warren, MI; brother, Kevin (Darla) McCabe of Mobile, AL; sister-in-laws, Sherri (Mike) Thomas of Madison Heights, MI and Becky Shaw of Warren, MI; niece, Anne-Marie (Darren) Mann; Chelsey (Richard) Wingate nephews, John McCabe, Stephen (Bryttnii) McCabe, Tyler Shaw, Jeremy Thomas and Jacob Thomas as well as many great nieces and nephews and his dog American Bulldog, Semba. He was preceded in death by his mother, Shirley Mae McCabe, and father-in-law, Howard Glen Colley. A time of visitation will be Saturday, August 4, 2018 from 11:00 to 12:00 in the chapel of Davis Watkins Funeral Home, 113 Racetrack Rd NE, Fort Walton Beach, FL 32547. Memorial services will began at 12:00 p.m. Please visit www.daviswatkins.com to sign the guestbook, express condolences and share memories.